See all 148 properties in Buffalo Niagara Intl. 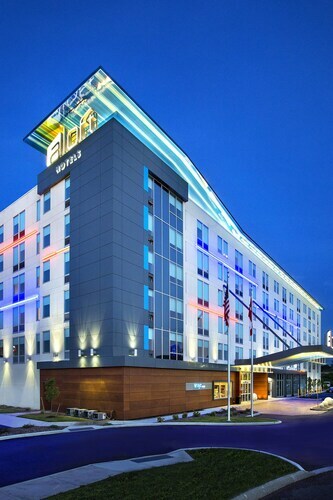 Situated near the airport, this hotel is within 6 mi (10 km) of Island Park, Walden Galleria Mall, and Glen Falls. Eastern Hills Mall and Millard Fillmore Suburban Hospital are also within 6 mi (10 km). Situated in Cheektowaga, this golf hotel is 2.8 mi (4.6 km) from Walden Galleria Mall and within 6 mi (10 km) of Island Park and Glen Falls. Holiday Twin Rinks and Eastern Hills Mall are also within 6 mi (10 km). Situated near the airport, this hotel is within 9 mi (15 km) of Buffalo Museum of Science, Frank Lloyd Wright's Darwin D. Martin House, and Buffalo Zoo. Albright - Knox Art Gallery and Pierce - Arrow Museum are also within 12 mi (20 km). 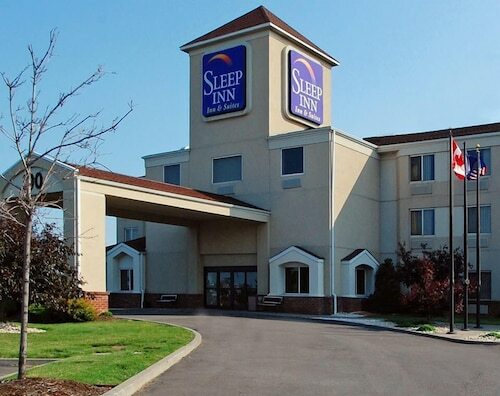 Situated near the airport, this hotel is 2.5 mi (4 km) from Walden Galleria Mall and within 9 mi (15 km) of Buffalo Zoo and Shea's Performing Arts Center. Coca-Cola Field and Canalside are also within 12 mi (20 km). 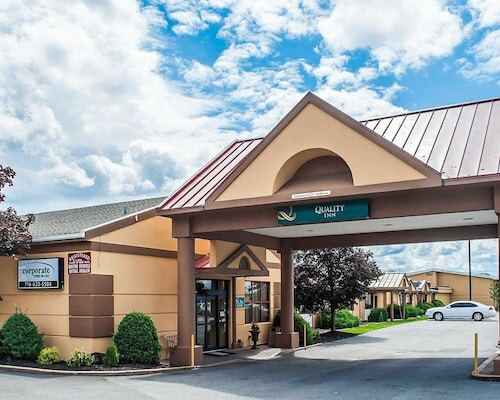 Situated near the airport, this hotel is within 6 mi (10 km) of Island Park, Walden Galleria Mall, and Glen Falls. Eastern Hills Mall and Samuel’s Grande Manor are also within 6 mi (10 km). 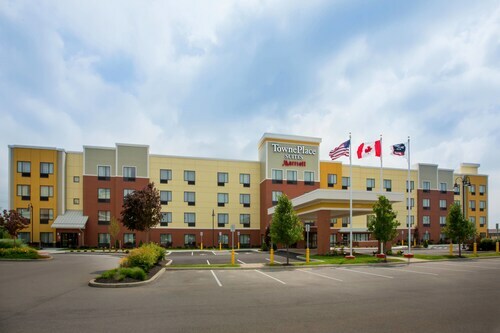 Situated in Cheektowaga, this hotel is 2.9 mi (4.7 km) from Walden Galleria Mall and within 6 mi (10 km) of Holiday Twin Rinks and Island Park. Glen Falls and Eastern Hills Mall are also within 6 mi (10 km). Answer : The cheapest day to fly from Houston to Buffalo is on Monday. If you would like to save some cash on your next trip look for flights on Monday. Question : Which airline has the least delays from Houston to Buffalo? Answer : NetJets Aviation will have you to BUF on time 40% of the time. Don't spend more time waiting in an airport than you have to and stick with NetJets Aviation on this route. If they are late for some reason, expect it to be a 33-minute delay, as that’s the average. Question : How long do most people stay in Buffalo on average? Answer : Of course, you are not most people, but if you were, you'd stay roughly seven days. Question : What is the cheapest date to fly to Buffalo? Answer : If you are wanting to save some funds, look at May 7th. As of Apr 15th, it's showing the cheapest ticket sales at $312. That is 38% below the average price for this route, so you can spend your savings on an adventure rather than the flight. Question : What is the cheapest airline flying from Houston to Buffalo? Answer : Delta Air Lines strives to keep prices low for their passengers over the next three months. Fares are being booked at just $312, which is a steal when compared to the more expensive bookings of $1,461. Question : How much is a plane ticket to Buffalo (BUF) from Houston (HOU)? Answer : Prices can vary from $312 to $1,461. Booking far in advance can normally help you get the cheapest ticket. Remember, the sooner you book, the more you'll be able to save. Answer : You sure can and you may save by changing it. The lowest-cost day to fly in April is Monday. Flexibility is key when booking travel to help keep costs down.